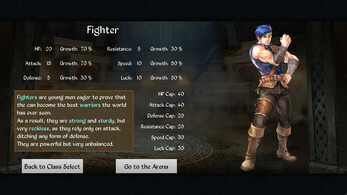 Welcome to the Arena is a turn-based fighting game in which you choose a class and enter the fight. Each class has different stats, strengths and weaknesses. You will fight endless enemies, who will get stronger as you progress. Your goal is to survive as long as possible. 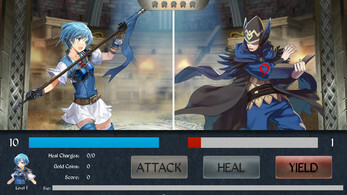 The enemies will be very easy at the beginning, but dont relax and smash the attack button. Stock up on Heal Charges and get ready for what is coming! Your character can level up and increase stats, as well as acquiring upgrades at the Shop. 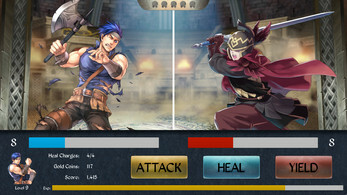 The leveling and the combat systems are inspired by the Fire Emblem franchise. Since the assets are copyrighted, it is strictly forbidden to use this game commercially in any way. That would get both you and me in trouble. All payments have been disabled for this game. The goal of this project was to create a game in less than two weeks, using already created assets. 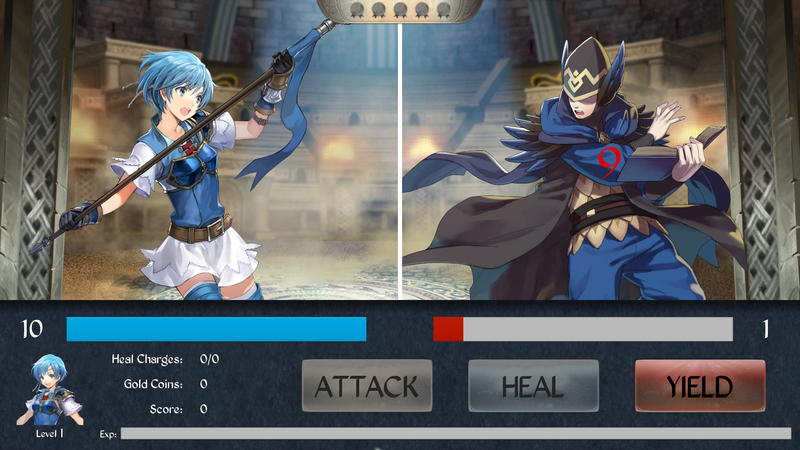 Welcome to the Arena was developed in Unreal Engine 4 and I still want to improve it. Don't hesitate to give feedback about it! As you can plainly see and hear, Graphics and Sounds are not original. Therefore, I would appreciate the help of capable illustrators and musicians. Contact me if you are interested in helping. We might release this game to the public. 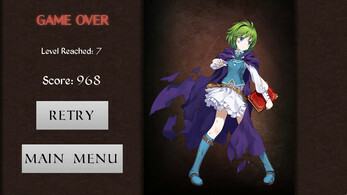 The game is prepared to run at 1080p at fullscreen. Any other aspect ratio will probably break it.